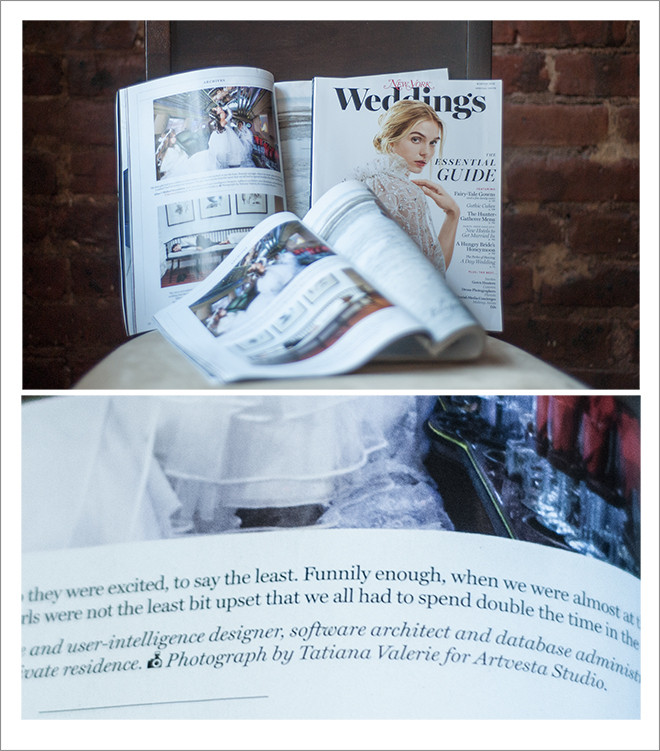 Tatiana Valerie at Artvesta Studio is featured in New York Weddings magazine – Winter 2016 issue. In the midst of my busiest month of the year I finally got to purchase a new issue of New York Weddings magazine ~ Winter 2016. Delighted and honored to be featured in the editorial section of the issue!